Falconry (also known as hawking) is a rural sport that involves birds of prey (otherwise known as raptors) who are trained to hunt game. Traditionally, it was only practiced by the rich, as 'ordinary' people couldn't afford to raise the rare and expensive birds of prey. Nowadays, falconry is used to hunt game instead of humans. Harris's Hawk- This is the most commonly used bird of prey in falconry, and is often employed to catch rabbits, hares and other birds. Although they are native to North America and the northern part of South America, there are lots of them bred in captivity in the UK, where their temperament and skills are looked very favourably on. They often hunt in groups, as would be the case in their native environments. Falcons - Falcons are often used to hunt other birds, such as game birds. This is especially true of Peregrine Falcons. Kestrels - These are sometimes recommended to beginners, but they are considered too delicate by many established falconers, as it is only a small bird. 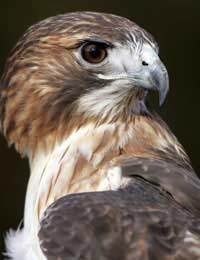 For this reason, the Red-tailed hawk is often put forward as a good alternative for new falconers, as they are attractive and ideal for captive breeding. Under the terms of the Wildlife and Countryside Act, it is illegal to capture wild birds of prey, regardless of whether you intend to use them for falconry or not. As licensing to legally breed birds of prey are no longer available in the UK, you can only legally obtain birds of prey if they have been bred in captivity. This is also the case for eggs and feathers from birds of prey. DNA tests can be conducted to assess whether a bird of prey has originated in the wild. The law does not specify the types of birds of prey that you can legally own, nor the number that you can legally own. Birds of prey must be registered with the Department of Education (D.O.E). If they suspect that you are harbouring unregistered birds, they can conduct an inspection of your premises. The 1981 Wildlife and Countryside Bill saw the Royal Society for the Protection of Birds (RSPB) campaign for falconry to be made illegal, but this wasn't a success. Instead, its rich history in the UK as a rural sport conducted by the wealthy meant that it was formally given legal status in the UK by the same Act. This allowed it to carry on as a rural sport, as long as all birds of prey that are bred in captivity for this purpose are ringed and registered by the government. Falconry is often used to hunt live game, including rabbits, hares and birds. Most falconers breed and raise their birds of prey in captivity.